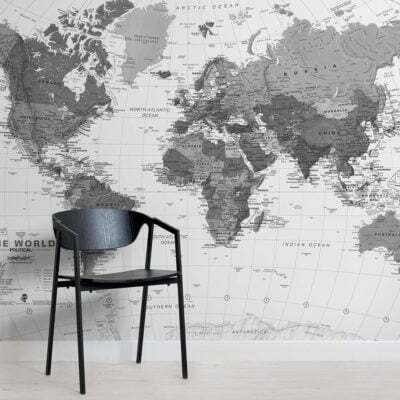 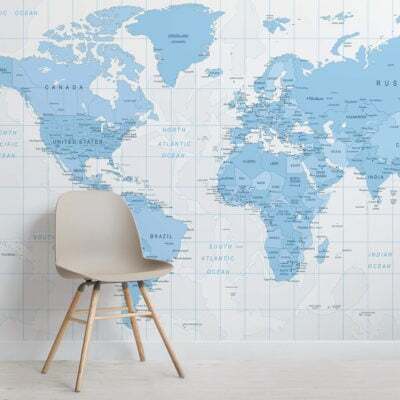 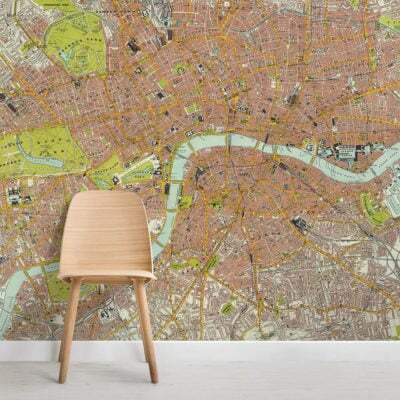 First seen in 1944 as a US Army Map Service project, our Vintage Pastel World Map Wall Mural is a beautiful rendering of the world’s political landscape mid C20th. 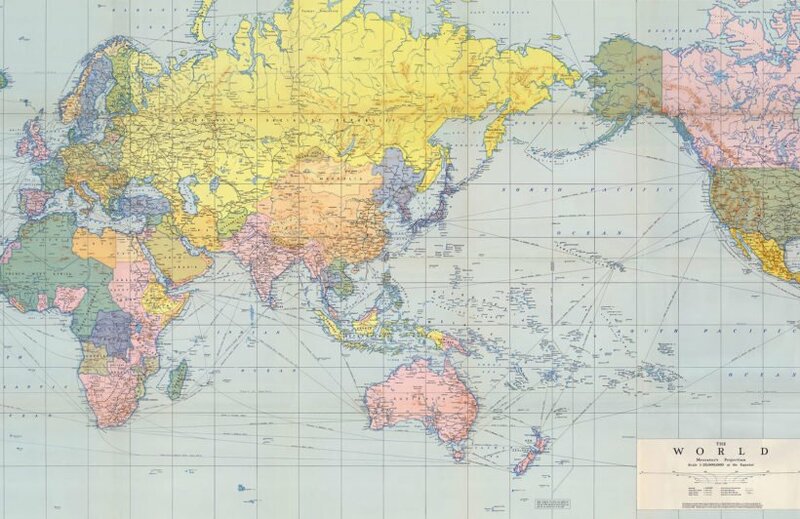 Contour lines can be seen in shades of purple, shipping routes are traced and each individual country is shaded a specific colour to represent its political leaning. 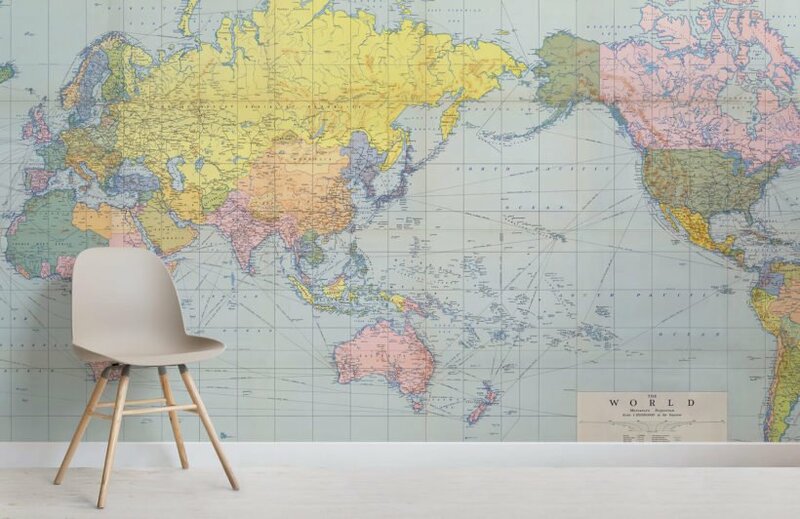 This is a wonderful vintage map wall mural full of exquisite detail and with a timeless quality that will leave your home looking all the more exquisite.